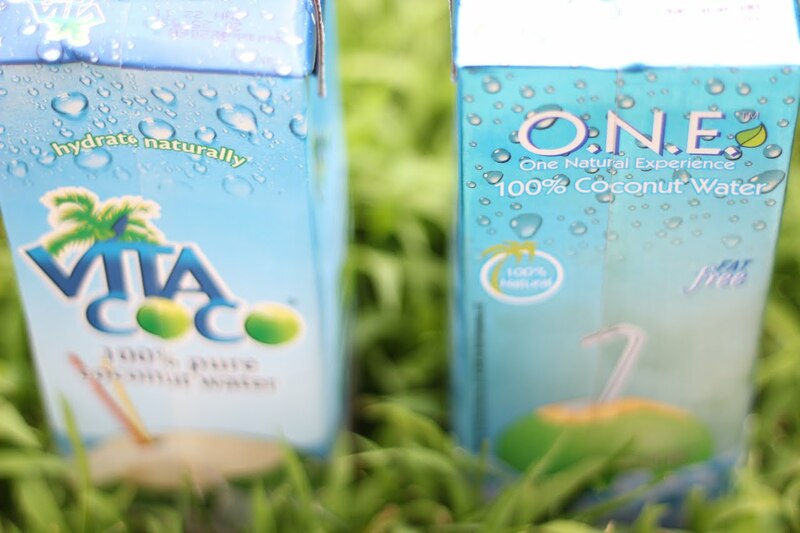 Talkin' Chow Playin' House: Vita Coco and O.N.E. This is the drink of choice at our Fam's house right now! 100% natural, fat free and cholesterol free! It is a super hydrator full of electrolytes and nutrients! It is the drink Mom grabs cold from the fridge after her morning workouts and our bro's choice for filling his water bottles for long rides! Both brands can be found at Whole Foods Markets and some local grocery stores depending on where you live. Go to www.vitacoco.com and/or www.onenaturalexperience.com to learn more about these amazing beverages and to find a store that sells them near you! Go ahead, try them and get to gettin healthy! Yum! Do they sell this at any local grocery stores in Provo/Orem area? Hi Lindy! You can buy Vitacoco at Harmons and O.N.E. At Smiths! Also Good Earth carries it! Nice! I'm going to buy some today! Do you prefer one brand over the other? We usually by the Vitacoco just because Harmons is where we shop the most. But both brands have the same amazing health benefits and taste pretty much identical! (to me at least) It is light like water with a slightly sweet flavor...so refreshing to drink! Especially really cold! :) Enjoy! And thanks so much for your comments! We really appreciate it!